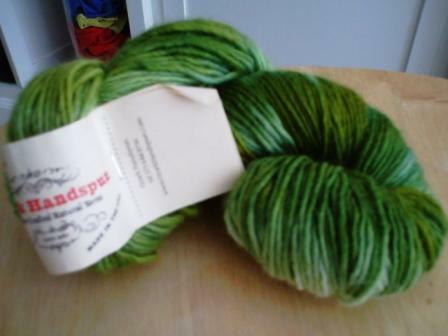 This one below is Hand spun, hand dyed Angora Malabrigo and it is very soft. I am using it for a project on a new pattern that I am designing for sale, can't tell you more until later on . Thanks for stopping by! I used Malabrigo for the first time a few weeks ago and love it. I also realized I had some Manos in my stash-what is your opinion between the two, if you have one. It's a hard choice between the two, but I prefer Malabrigo, for some reason. I find it more appealing to the eyes and softer. 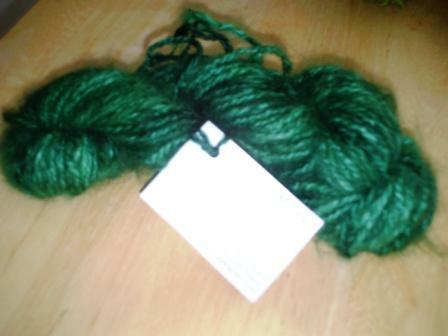 But I had to make a correction this yarn above is Ozark Handspun from the good olde USA!!!! You are so HAWT dude! I love the yarn colors!! !